Born in Sheffield, England (like fellow Group member F.H. Varley), Lismer was passionate about his adopted country and ready to eschew the “old conventions and literal statements”3 that he had learned as an art student—first at the Sheffield School of Art and then at the Académie Royale des Beaux-Arts in Antwerp, Belgium. 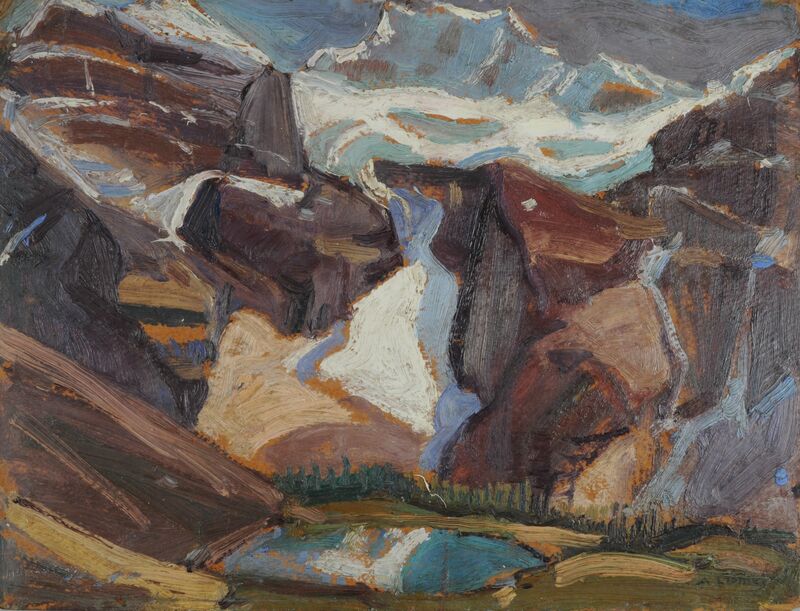 In Canada, he became an equally passionate art educator, serving as principal of the Victoria School of Art and Design in Halifax and as vice principal of Toronto’s Ontario College of Art. Lismer also supervised educational initiatives at the Art Gallery of Toronto and the Art Association of Montreal, where he moved in 1940. 1. quoted in Angela Nairne Grigor. Arthur Lismer, Visionary Art Educator (McGill-Queen’s University Press, 2002), 54.